Finding the most comfortable position will never be an issue. 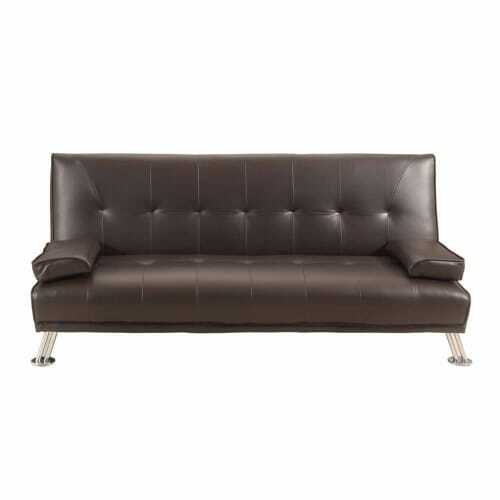 Remarks: The black fabric torn underneath will not effect use of this sofa bed. 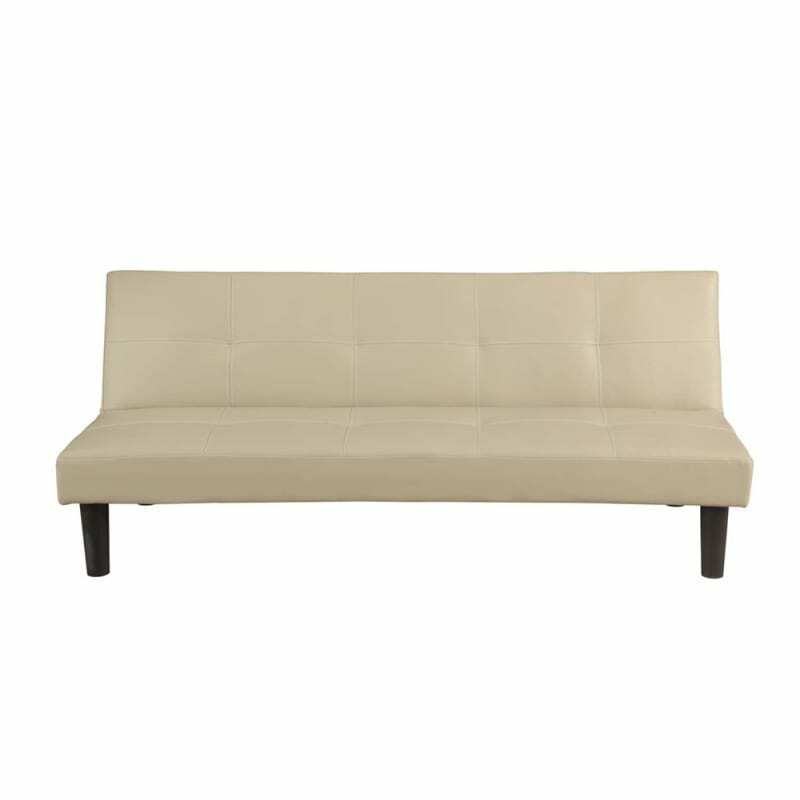 This Homegear Faux Leather Sofa Bed is an affordable item of furniture that will add both comfort and versatility to your home. Not only will this piece of furniture switch between a sofa and a bed, but you can also recline. Finding the most comfortable position will never be an issue. Homegear has designed the sofa bed to be incredibly convenient, as highlighted by its positional options. However, setting up the sofa is also simple, as you only need to attach the legs. Even for safety this Homegear sofa bed excels. A crucial safety feature is that the sofa is compliant with all UK fire regulations. Add an affordable Homegear sofa bed to your home and enjoy years of relaxation and versatility.